A new study from the University of Virginia’s McIntire School of Commerce has identified a key divergence in how liberals and conservatives approach climate change solutions, while also highlighting convergences that might help break political gridlock. Most researchers studying public opinion on climate change have focused on the existence of climate change and man’s role in its advancement. 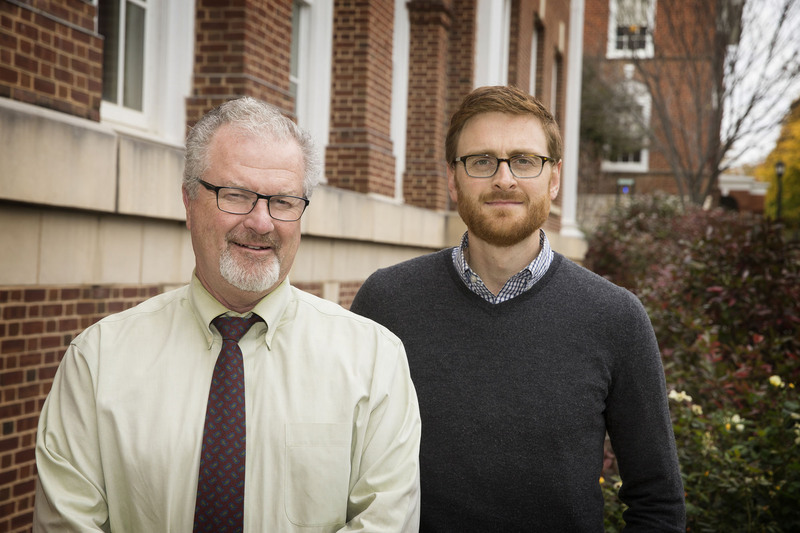 Co-authors Thomas Bateman and Kieran O’Connor, both Commerce School faculty members, are among the first behavioral researchers to explore psychological attitudes toward different strategies for coping with climate change, specifically mitigation and adaptation. They found climate change mitigation – which focuses on eliminating causes of climate change – to be a much more polarizing issue than climate change adaptation, which focuses on preparing for the results of climate change. Liberals more strongly endorsed mitigation while conservatives tended to favor adaptation strategies. One possible reason for this distinction, O’Connor said, is that mitigation implies blame by focusing attention on human actions, such as burning fossil fuels. On the other hand, adaptation does not necessarily assign blame, but focuses on dealing with likely problems. “Perhaps agreeing about future actions is easier than agreeing on who caused the problem,” he said. This research, which is awaiting publication, adds a new dimension to the prevailing narrative that liberals and conservatives are diametrically opposed on climate change and comes just ahead of major international discussions on the topic, such as the United Nations Conference on Climate Change beginning Nov. 30 in Paris. Bateman and O’Connor surveyed roughly 400 online respondents, hailing from 49 of 50 U.S. states, to determine “felt responsibility” – the degree to which respondents felt compelled to act on either mitigation or adaptation solutions. They conducted a second survey of 400 additional respondents two months later, when national temperatures differed from the first survey. Both surveys generated the same findings: disagreement on mitigation and convergence on adaptation. Conservative respondents were more willing to vote for, donate money to or otherwise support adaptation strategies like building flood defenses, developing drought-tolerant crops or protection of scarce water resources. Some liberal respondents also supported these strategies, but more strongly favored mitigation strategies like implementing a carbon tax, developing renewable energy sources and increasing energy efficiency standards. While the survey results are far from showing complete consensus among liberals and conservatives, they do go beyond typical stereotypes to show a potential for agreement that is refreshing amid so many instances of gridlock in the nation’s capital. Both Bateman and O’Connor emphasize the fallacy of the stereotypes and false dichotomies that are contributing to and reflecting an extraordinarily polarized political climate. “If you go beneath the surface to understand the deeper layers of an issue, maybe there is more room to make things mutually beneficial and address issues that both sides find tolerable,” O’Connor said. The co-authors believe that their results could help voters, politicians and activists better understand and predict how others might take action on climate change. For example, activists might be able to engage more conservatives if they offered more options for supporting adaptation strategies. Liberal and conservative politicians might find areas where they can negotiate acceptable combinations of mitigation and adaptation strategies – a crucial pairing, according to Bateman. “As adaptation presents itself as option, people should not drop the ball on mitigation. It would be like putting on Band-Aids without curing a root cause that is festering and growing,” Bateman said. Instead, both he and O’Connor hope that their data will help liberals and conservatives work to find optimal mixes of the different strategies and develop a nuanced understanding of each other’s motivations. The UVA students behind Minimally Invasive Spinal Technology, or MIST, are pioneering improved treatments for childhood scoliosis. Wednesday, they took home the top prize in an ACC innovation competition. The Pike Engineering Entrepreneurship Fellows Program provides funding guidance and mentorship for students interested in creating their own businesses. UVA’s men’s basketball coach is the only sports figure named to Fortune’s “World’s Greatest Leaders” list, which includes CEOs, prime ministers, actors and activists around the world.